Performance managing an employee who has a mental illness is complex. Employers need to walk a tightrope between anti-discrimination laws and work, health and safety laws. How can an employer best manage its obligations when performance managing employees with mental illnesses? What if the alleged misconduct was the result of an employee’s mental illness? Does this provide a defence to the alleged misconduct? What if the employer was not aware of the mental illness when reviewing the alleged misconduct? 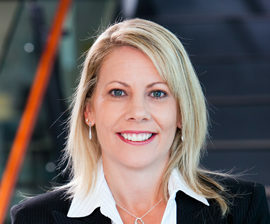 As a partner in the workplace relations and safety team, Belinda leads a team of seven and specialises in employment, industrial relations, discrimination and safety law. Belinda and her team provide strategic advice to employers about various matters including restructures, enforcing restraints of trade, managing long term ill and injured employees, employee misconduct, poor performance and effecting termination of employment. The team also provides assistance to clients managing industrial issues such as enterprise bargaining, right of entry and industrial action. Belinda and her team are experienced in conducting complex workplace investigations in response to safety related incidents or allegations of misconduct, as well as providing advice to clients about safety compliance matters. Belinda has been listed in Best Lawyers Australia for Labour and Employment every year since 2013. This webinar is suitable for HR professionals and lawyers practising in employment law. This webinar is for practitioners with some knowledge in this area and looking to improve their knowledge.